It was disappointing. The first few evenings doing Rehras in a foreign land. Though the people around me were warm and welcoming, and a thousand smiles and courtesies would be exchanged in the day, suddenly Rehras had stopped making sense to me. But, out of habit, I still recited it. Then, I found myself surprised over the words I was uttering. The adepts in their meditation, and saints in their contemplation, sing Your praise. The abstinents, truthful people, those with contentment, and fearless warriors too, sing Your praise. My mouth was uttering a vivid description of the world, how different kinds of people, the musicians, the warriors, the saints, the beautiful ladies, entire planets and solar systems were singing the praises of one God, all in their own ways presenting the grand glory of God. Yet my mind failed every time trying to think of one representative person around in this land who was praising God. People just seemed busy in their own worlds – in laboratories, libraries, pubs, and parties. Nobody I had met, had talked of singing praises of the Lord. 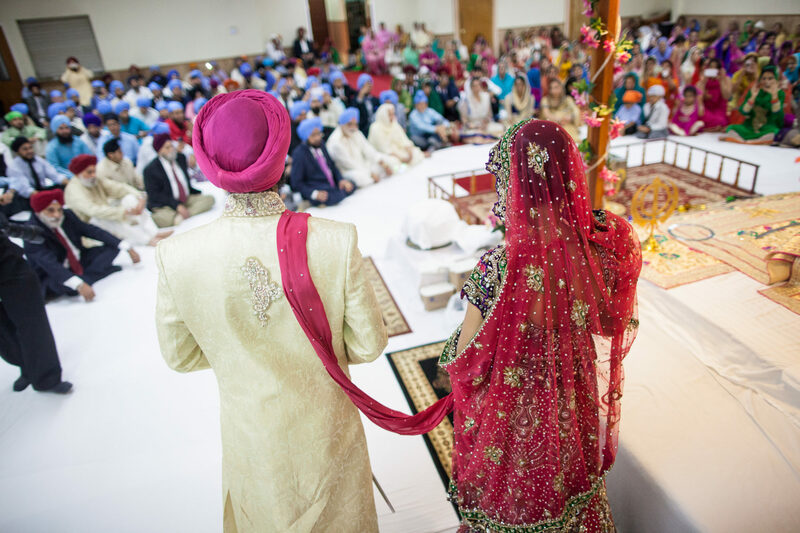 My “Waheguru” was not really a part of any conversation I had had, the way it would always be back home. You see, everytime my grandmother would sneeze, she would say “Waheguru, – Waheguru’s presence and recognition of the presence was such a part and parcel of her existence. I was always used to living in that world back in Ludhiana, even in Delhi, my friendships had centered around spirituality somehow and I had landed in a world of friends from different faiths whose glowing faces would come to mind every time I did Rehras in college. Suddenly, my mind was empty now. No face. But I still kept reciting it. I felt like trusting the words. If the Guru said that people like these exist, then surely they must be existing, I thought. Then one day, a Jewish friend invited me over to her synagogue. I was very curious a synagogue for the first time in my life, I had just read about them or seen in pictures. It was a Friday evening and the Shabaath prayers were being said in the synagogue. I sat holding a Hebrew to English translation in my hand. A beautiful bunch of people had gathered and sung in chorus – words I did not comprehend but which sounded like praises of the Lord. The experience of sitting in that divine company was exalting. Pure discovery. I had found those people whose reference my Guru had made, those who were taking time out from their academic routines and gathering to sing Waheguru’s praises aloud. I was touched. Overjoyed. I can’t explain. Then over the year, more discoveries came. 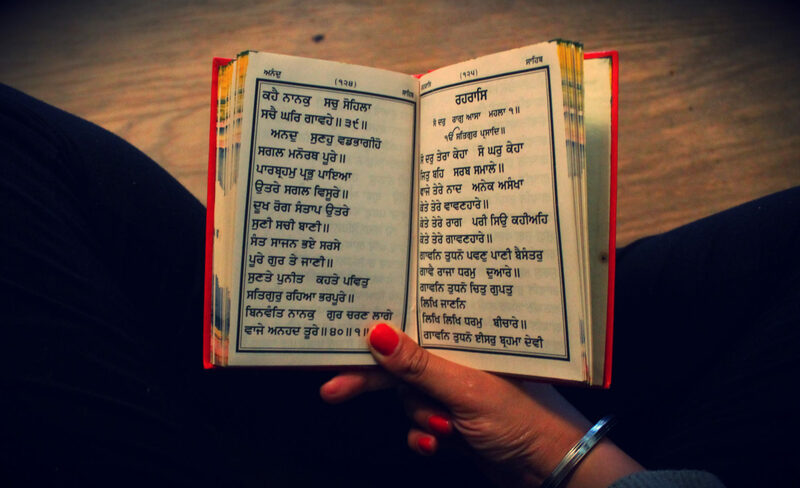 I found a Gurdwara at Headington, UK – a small community of people gather every week and sing gurbani and have langar together. I found a Muslim friend who did her namaaz regularly. 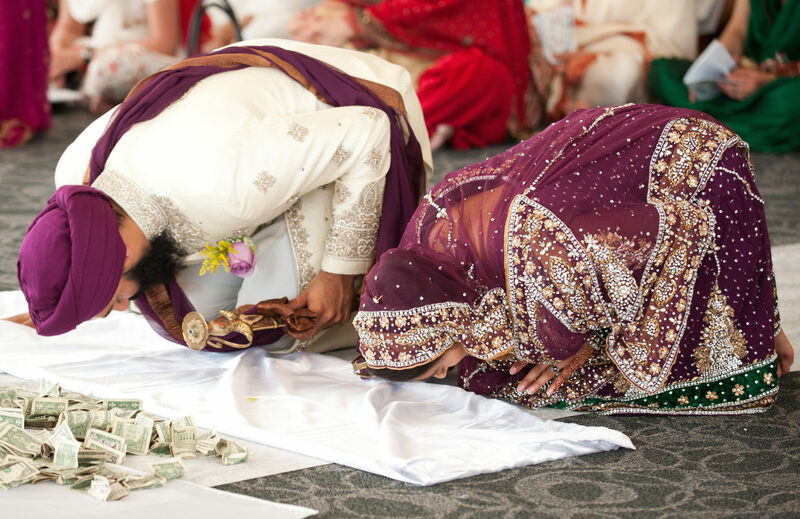 I saw her lovingly place a cloth on the floor and then bowing her head repeatedly in prayer. Eyes closed, she looked no less than a saint. Little subtle references about Waheguru started penetrating my conversations again. I felt at home, this wasn’t a different land, there were similar people with similar vibes. Every time I do Rehras now, these new faces inhabit my mind. Our minds create powerful illusions, I guess. A few conspicuous people start dominating our thoughts – those hedonistic party-types, and we might be moved to think that the world just consists of them. I found an amazing set of people in this lovely land of Oxford. They are there everywhere – ones who silently dwell in their beautiful worlds, ones who take time out to sing Waheguru’s praises.